This week we have had our fire on every night, the coldest night the temp got down to 3celsius ( sorry not sure what that is in farenheit), and although we don't get any snow in our part of New Zealand it gets pretty cold. What better way to show Wintery Wednesday than with images from inside our fire..
Today was my day to go up to the Auckland Botannical Gardens and take some photos, I know I keep saying it, but there is never a trip to the gardens that is not enjoyable and different. Winter has arrived, we have had our fire on for the last few days as the cold snap has arrived. The days are sunny, but very, very cool. The sun is weak, and it is dark earlier and when we get up in the morning it is dark. Walking Max is now done later, so that I am walking in daylight. One positive with all the cold weather, is that it makes for some lovely photos. We get quite a bit of mist and fog , and when it is really cold we do get a frost. I have decided that once a week, through Winter and on a Wednesday, I will post some images of Winter in my part of the world. Today, at 7am the sun was just starting to rise, and the sky above our house was this pastel pink. Very pretty , and then as I was driving to work there was a low mist hanging over the fields, making for a very nice landscape. Hope you enjoy, until next week. 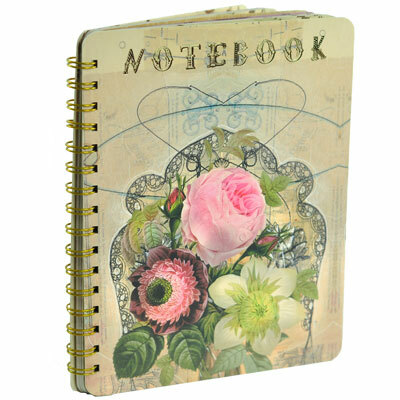 For years I have had a love affair with stationery... Yes, you heard me stationery. Cards, year and years of birthday, christmas, anniversary cards, I keep them all in a storage box in my wardrobe. 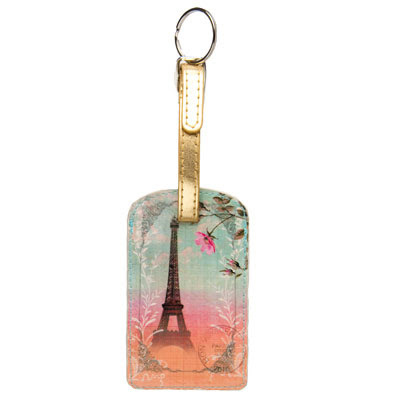 But here's the thing, see that top image, that is the luggage tag that I bought for Sam, she is going to Paris and it is so cute I just couldn't resist it, it is going to look very stylish on her luggage. No prob, it's not made of paper. 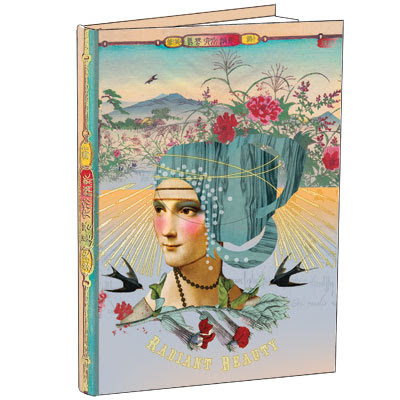 The problem is I have bought the notebook for my sister in Brisbane for her birthday, and that notebook is tugging at my heart strings... It is gorgeous, every page has stunning drawings on it, and the paper quality is superb. but I can still fit into earrings I wore in high school. The theme for this weeks Snap It is Black & White. My friend at work very kindly lent me her son to practice my portrait photography skills on. Very late on Saturday afternoon we decided to drive to the forest and collect some pine cones for the fire. A typical Autumn afternoon, warm in the sun but very cool in the shade. All through the forest, on the side of the road there are clumps of New Zealand native grasses called Toetoe ( pronounced: toytoy), they have these wonderful white fluffy fronds. They were introduced from South America and are closely related to pampas grass. The combination of lens flare, blue sky and water gave for some gorgeous shots. More a gate than a fence, this is the Brooke Homestead, an historic house at the Regional Park which is 20mins drive from our home. After walking around the road, I found a fence, with a peek of the back of the homestead. Check out the link below to see the rest of Friday's Fences.